Marshall Dmytryshyn was born to Paul and Mary Dmytryshyn in Glendon, Alberta on April 27, 1941 and passed away peacefully after his battle with cancer in Edmonton, Alberta on December 1, 2012 at the age of 71. Marshall will be lovingly remembered by his children, Teresa (Joe) and Travis; his two sisters Alice and Olga and his two brothers Ed (Diane) and Ken (Deb); his Auntie Margaret Dudar; as well as numerous relatives and many dear friends. Marshall was predeceased by his father, Paul in 1974, his mother Mary in 1998 and his brother William “Bill” in 2002. Marshall attended the University of Alberta, earning a degree of Bachelor of Science in Electrical Engineering in 1964. He held a variety of positions as a Manager, Instructor and Analyst in both the Government and private sector. Marshall was one of the founding members of the Edmonton Professional Singles Club and served as the 3rd President where he was well appreciated, friend to all and respected by past and present members. He enjoyed many recreational activities, travelling, spending time with friends and family as well as time at his cabin at Calling Lake. Marshall will be remembered as a kind, loving, gentle man who was always willing to help, had a great sense of humor and was a great dancer. Marsh will be dearly missed by his family, friends and his dog Kristi. The family would like to thank all the friends, family, neighbors and care workers who offered their love and support. 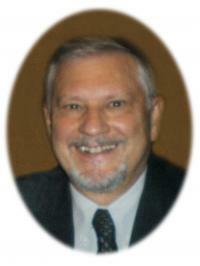 A Memorial Service and Reception will be held on Monday, December 10, 2012 at 2:00 p.m. at Foster and McGarvey Funeral Homes, 10011 – 114 Street, Edmonton. In lieu of flowers, donations may be made to the Canadian Cancer Society or the Edmonton Humane Society.